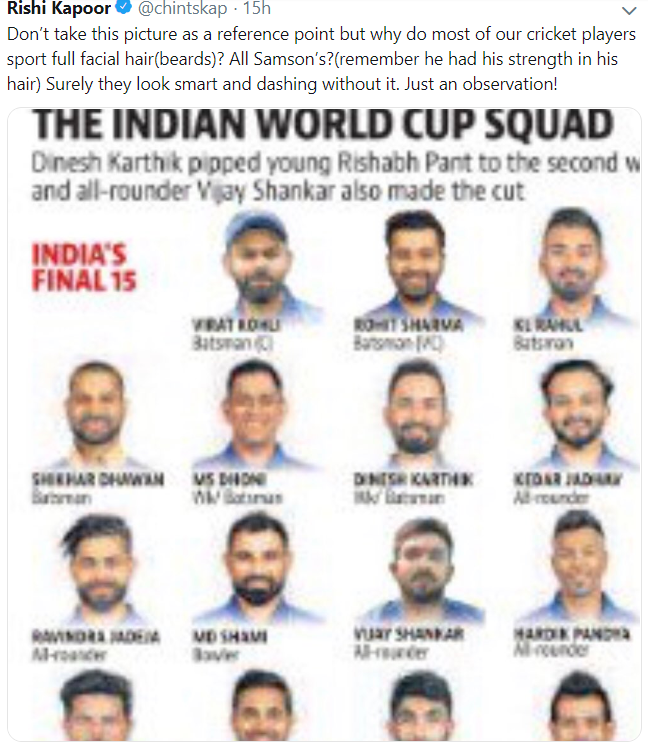 Rishi Kapoor seems to have a slight problem with the Indian cricketers selected for the World Cup. He drew a comparison of the cricketers with Samson, not to be confused with the young wicketkeeper-batsman from Kerela but the last of the judges of ancient Israelites, who was known for having strength in his hair. The Twitterati seemed to be with Rishi Kapoor on this point and replies started pouring in with people stating that MS Dhoni is the only one who isn’t falling into the trap of the beard trend. Virat Kohli was the one to have started the trend to spot facial hair on a regular basis in the Indian cricket team and since then a lot of the players have followed his footsteps. 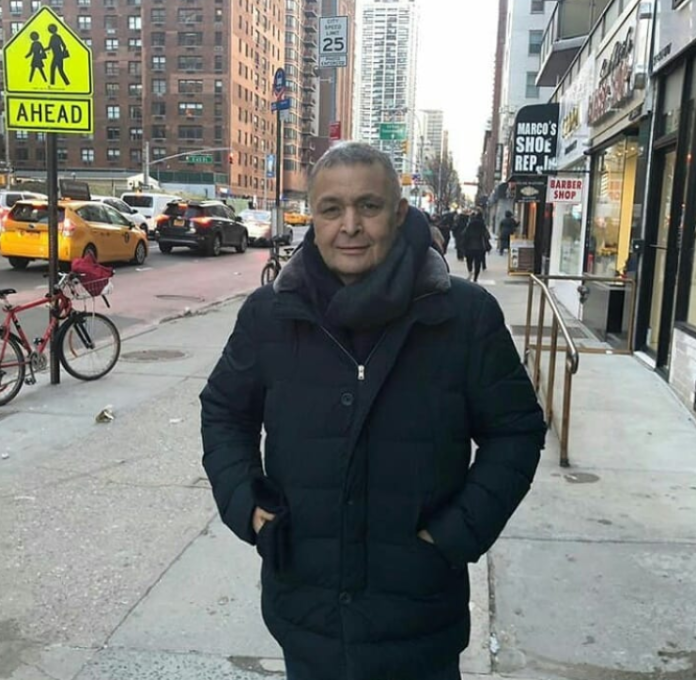 The actor currently being treated in the US for his treatment. Let us hope he recovers as quickly as possible and returns back to entertain all of us.